Death defying heights. Rugged terrain. Obstacles along the course marked out. Every true adventurer knows there is no such thing as a pain free, problem free journey. The question becomes: what keeps one traveler dedicated to the trek yet another stumbling back down the way he came? As we learned in this week’s message from Pastor Joey, it’s all a matter of what you put in your pack. Fear. Doubt. Confusion. Those rocks can weigh even the most experienced thrill seeker down and make them about face on the adventure of a lifetime. Trust. Direction. Faith. That’s what someone willing to go the distance loads up on as he sets out. Paul was living the high life before this transformation. He was among the educated elite, a Pharisee. A “Hebrew of Hebrews” with Roman citizenship. He had a pedigree that made his contemporaries drool. Surely a guy with his credentials could expect his mission to be a breeze, right? Instead of a first class trip, Paul found himself on the roughest ride of all. There were the many beatings, imprisonments, and being shipwrecked a time or two. Not to mention constantly on the run like a fugitive, hatred from his own people and those he was sent to share the gospel with, as well as hunger, thirst, and just about every dilemma you could imagine. [2 Corinthians 11: 23-28] It’s amazing how quickly your accomplishments and background don’t matter when you get invited on this adventure. Circumstances don’t seem to take note of your education, family history, place in society or religious elitism. Paul had a choice. He could have said, it’s too much. This journey isn’t worth it. He could have stopped getting on the boat for every subsequent voyage. He could have changed his tune about this Jesus fellow and settled back into a life on top instead of becoming an easy target for the masses. 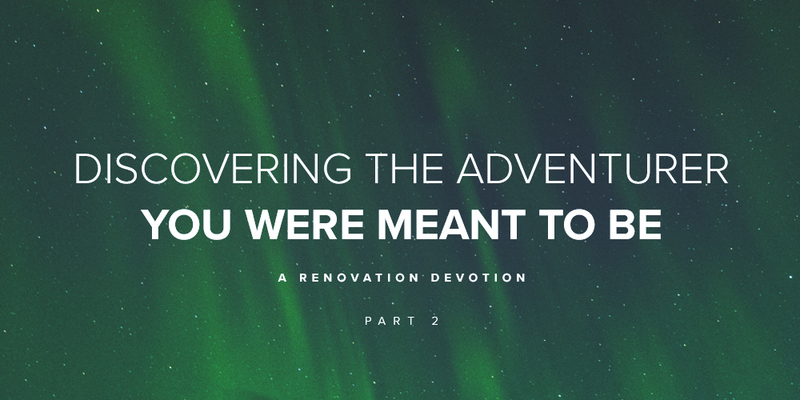 But giving up would’ve meant giving up on the thing that mattered the very most: Christ himself and the Gospel plan that reconciled him with the one true God. Want to know the secret of a true adventurer? A consistent trust and belief that whatever lies ahead on the course can be handled not through the sole might of the one on the journey, but through the strength given to them by Christ alone. Paul learned how to be content. An essential truth every one of us must remember. This adventure is a lifelong journey and hurdles, pain, and problems will just train our spiritual bodies and strengthen our faith in Christ. All it requires is a willing participant up for anything. Are you up for whatever is ahead? Here’s something to think on: What would you do if you were absolutely confident that God was with you? Pray about it: Lord, teach me the secret of living in every circumstance. Help me through whatever hardships and obstacles I face as I rely wholly on you and the journey you’ve set before me. Amen.